Happo is a great platform for collaboration and communication. We are big promoters of transparent and open collaboration, but sometimes information is not for everyone. 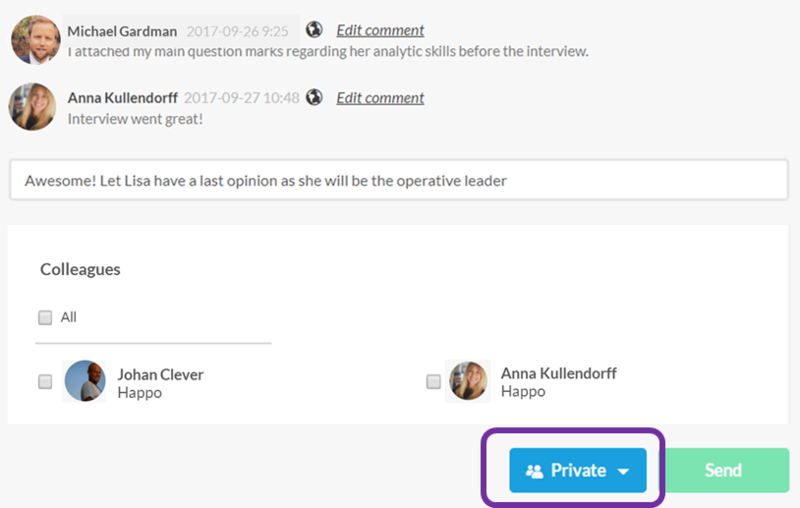 With the private comment feature, you can choose to keep parts of your communication with just specific collaborators. Simply change the message to Private in the dropdown.